Stay Fresh all Season long with Summer’s Eve. This post is sponsored by Summer’s Eve®, but all opinions and/or content is my own. The fall weather is my absolute favorite. However, the beginning of fall bringing cool mornings and hot afternoons wreaks havoc on my skin not to mention my body. It can be so hard to dress in the morning and by mid-afternoon I’m taking off all the layers I threw on in the morning because I’m sweating so much! That’s why I use Summer’s Eve®, so I can feel fresh all day and on the go! One of the most important parts of my health is using pH-balanced products on my intimate area. Summer’s Eve is a perfect example of that. Many women do not know that everyday activities such as exercising or even being on your period can leave you feeling less than fresh. Summer’s Eve® is pH-balanced and designed to helpyour body feel fresh! 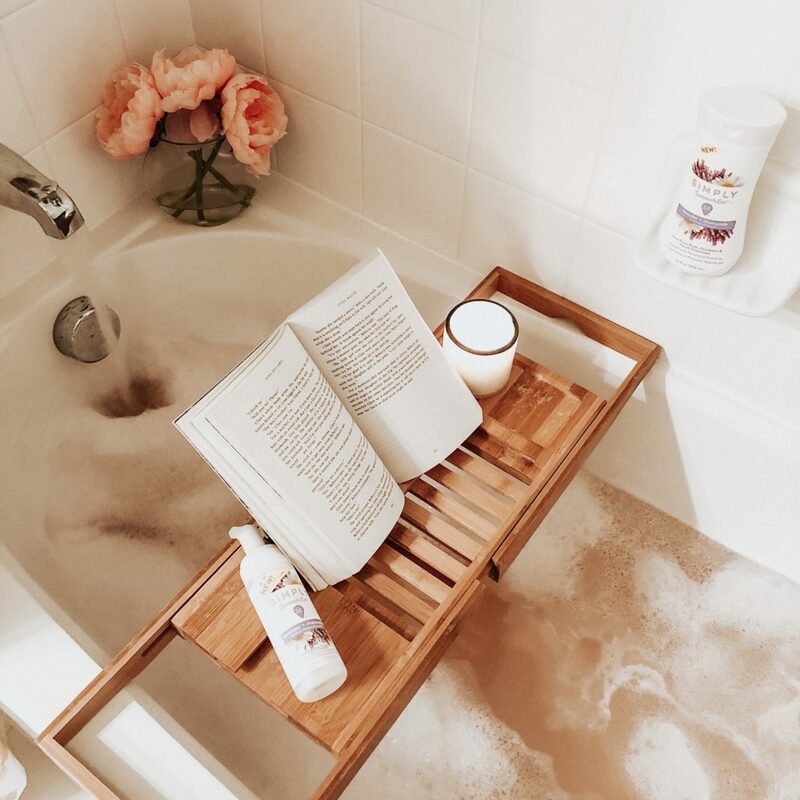 I’ve been using Summer’s Eve® products for as long as I can remember, so I was so excited when they released their new Simply Summer’s Eve® lavender + chamomile cleansing wash! It’s free from dyes, parabens and alcohol so you can feel comfortable about what you’re using on your body. Not to mention it smells amazing and leaves me feeling fresh for the rest of the day. If you’ve been following along on my Instagram stories, you know how many traveling nightmares I’ve experienced this summer with being stranded in an airport for hours upon hours! I was always so thankful I packed my Summer’s Eve® coconut water cleansing cloths with me. These individually wrapped cloths are perfect for on the go. When I got stuck in the airport and I couldn’t shower, I could at least feel clean in the areas that are important! The cloths are also perfect for travel. When I’m at a hotel, I pack a ton of these wipes in my suitcase so I can freshen up when I don’t have time to shower, which is also so useful at the gym! Make Summer’s Eve® a part of your hygiene routine. You’ll feel fresh all day and can take on your day-to-day without feeling self-conscious of odors that prevent you from feeling confident! How does Summer’s Eve® make you feel fresh? Ok, you just got me hip to the cleansing cloths. I didn’t know they existed! Do they have a strong scent? I have to check these out. I take great pride in keeping myself nice and clean at all times. This looks much better than baby wipes. Thanks! These are the perfect addition to your workout bag! I need to pick some up! Sounds like a good thing to have in your hygiene routine! I use these wipes if I know I’m going to have a long day without being able to refresh. Especially if I am going to an event right after work, it’ll make me feel a bit more put together. Their products are so great, definitely need to stock up! those cleansing cloths sound like just what i need to stay fresh especially after the gym! thanks for sharing! 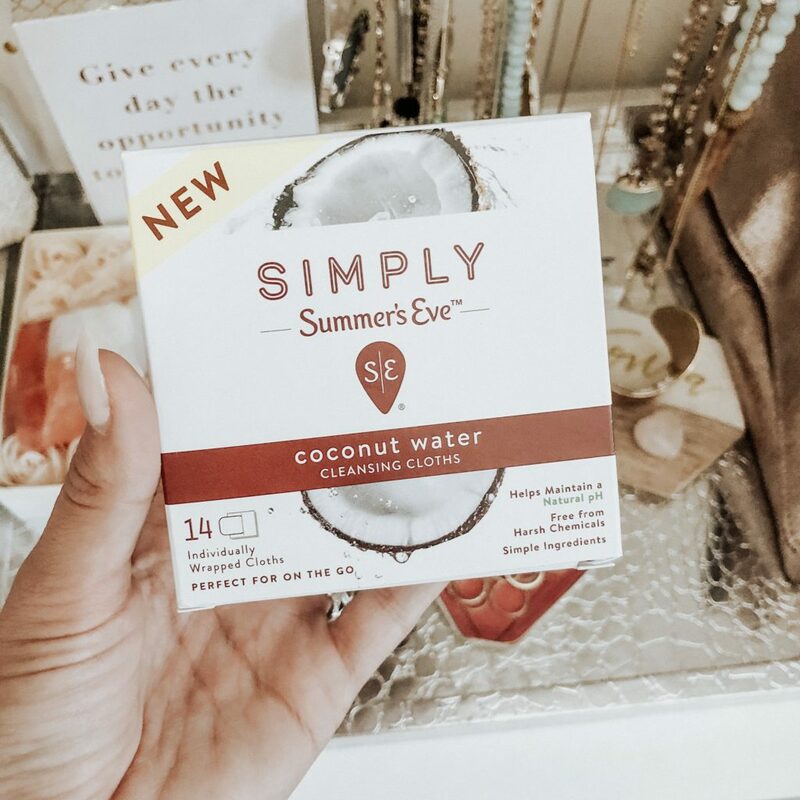 Glad to learn about this product and pretty good especially when we travel, especially if you are on a long hour flights and arrive the following day, Summer’s Eve coconut water cleansing cloth is there to do the trick. You can also Trick Your Body into Feeling Cooler. It may not sound very convincing, but applying a minty lip balm can make your entire body feel cooler. I hadn’t heard of this brand before but they definitely sound like they have some fantastic products. I love the look of the coconut water cleansing cloths. Oh this sounds perfect! I should get some and take it with me to yoga! I would love to try this out sometime! I love new products to clean with! What a great idea! I am often on the go and don’t have time for a formal shower. I think this may be my new thing! Thank you!! I will be honest I never used a Summers Eve product in my life. I am happy they are rebranding and expanding their line. Haha this definitely sounds like something that EVERY girl could do with their bags and I know how you feel girl. Sometimes when you’re sweating like nobodies business, all you need is something to just wipe those critical area lol!! I literally love the cleansing cloths. I switched to an organic brand but they are definitely awesome to have in your bag on those hot summer days! This sounds like a great product! I haven’t heard anything about Summer’s Eve in a long time. Okay, I definitely need to get my hands on these. Thanks so much for sharing! I have only used water and neutral soap for my hygiene until now, but I’ve been traveling a lot lately and I definitely see where a product like this could help me! I love how the product can be used on the go. Coconut water seems like an interesting concept for a cleansing cloth. I like the concept. Handy when there’s a delay at the airport. These are a must buy for ladies! Definitely picking some up this weekend! These products are fantastic! I’ve been using those wipes for a while now and really love them. The coconut scent is so refreshing! Thanks for letting us know about this! I had no idea these even existed! Better than using baby wipes! Thanks for sharing. I haven’t seen these in stores but good to know. Those cleansing cloths sound like a good addition to a travel bag. They would be great to have on long haul flights. The cloths sound like the perfect addition to a gym bag! As a new mom, I should look into this. There are just some days where I can’t fit in a full shower and these would be so beneficial. Ooo so good to know that the introduced a line without parabens and alcohol!! I’ll definitely need to check it out. Those wipes sound perfect to have on hand! Love that they don’t have paragons or alcohol in them.